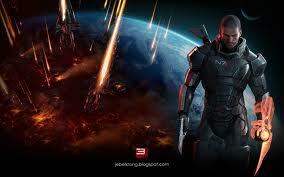 With the release of the highly anticipated Mass Effect 3 video game fans have another game to obsess about. 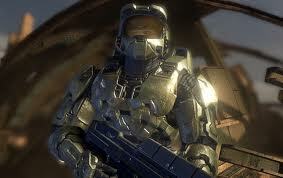 Stunning graphics and creative storylines have created popular franchises like Halo, Mass Effect and Resident Evil. These are the best science fiction-based video game franchise to date. 10. Doom (PC/N64/PlayStation/Xbox): The FPS (first person shooter) that made FPSs mainstream, fighting demons on Mars and various other locales has never been more fun. 9. Gears Of War (Xbox 360): On the planet of Sera, grizzled soldier Marcus Fenix and his compatriots battle vicious aliens known as the Locust Horde that emerge from beneath the surface of their world. this game has been very influential in other games featuring third person combat. 8. Halo (Xbox/Xbox 360): Hugely successfully FPS series that launched Microsoft’s original Xbox console in 2001, players suited up as the super soldier Master Chief fighting a collection of alien races known as the Covenant out to exterminate humanity. 7. Metroid (NES/Super NES/Gamecube/Wii/Gameboy): Pioneering video game heroine Bounty Hunter Samus Aran fights space pirates and parasitic metroid aliens in one of Nintendo’s classic franchises. 6. 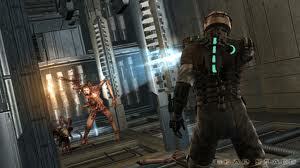 Dead Space (PlayStation 3/Xbox 360/Wii): Wonderful survival horror set in space. Aliens that reanimate human corpses into hideous creatures called necropmorphs, as well as alien artifacts that cause people to go insane give this series a feel reminiscent of the Alien and Event Horizon movies. 5. Resident Evil (PlayStation, PS2/PS3/Xbox 360): This survival horror classic series that has players fighting everything from zombies created by the T-Virus to genetically mutated beasts and people and animals infected by the ancient las plagas parasites in Resident Evil 4. 4. Mass Effect (Xbox 360/PS3): Epic storyline of humanity’s coming of age in a galaxy of some friendly and some not so friendly alien races is reminiscent of Babylon 5, this action-packed RPG concluded the saga with the new Mass Effect 3. 3. 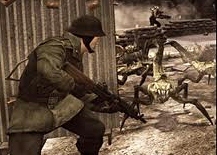 Resistance (PS3): The FPS launch title Resistance: Fall Of Man has spawned an excellent franchise. Set in an alternate universe where WWII never happened, the Tunguska incident of 1908 caused aliens to overwhelm Russia and then Europe in 1951 and eventually the U.S. in later games. 2. 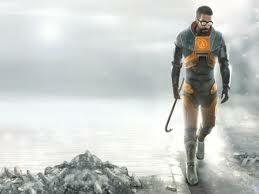 Half-Life (PC/PS3/Xbox 360): Nuclear physicist turned freedom fighter Gordon Freeman is a thinking man’s action hero that fights inter-dimensional aliens who occupy Earth. 1. 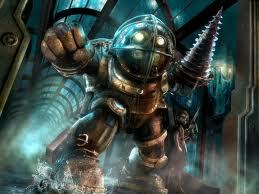 BioShock (PS3/Xbox 360): Taking place in an underwater utopian city gone wrong drenched in 1940s decor, this FPS with genetically manipulated baddies was an instant classic when released. The highly anticipated third game in the series BioShock Infinite will be set in a city in the clouds in 1912. Thanks for finally talking about the Top 10 Sci-Fi Video Game Franchises Starloggers;Loved it! Yes! Finally someone writes about game.